So your on the hunt for a wedding photographer in Boston!? A daunting task indeed...if you let it be. I strive to make the entire process from beginning to end as fun and simple as possible. If you like my images please shoot me a message or fill out my contact form. I guarantee that you will at least leave our conversation more educated on wedding photography, and will likely want to be my friend. Ok, that second part is not guaranteed but I like to think it's true! Here are a bunch of frequently asked questions, and my attempt to answer them thoroughly! Is your pricing available online? The short answer is, no. Every wedding is unique and certainly not every wedding fits into a package. I do offer packages, but prefer to have a brief conversation to learn more about your wedding and your particular photographic needs. Pricing can vary depending upon variables such as distance, time, logistics etc. If you would like to receive my pricing guide simply fill out my contact form and I will be happy to send it over. But can't you just give me a ballpark? Yes. If your venue requires a certificate of insurance please be sure to let me know well in advance. I would describe my style as punchy, clean, colorful and authentic. I strive to tell an honest story, and at the same time create images that will stop people in their scrolling tracks! I adapt my shooting style to each couple and figure out what is most important to them. I document the day in a "stealthy photo ninja way" when required (for example during the ceremony, first dance, toasts etc.) I am also not afraid to take charge in the moments where speed and focus are needed to get the shots you expect of me in a timely fashion. I love people and guarantee that they will love me back! What happens if you cannot shoot our wedding because you die? I sometimes shoot alone, and sometimes shoot with a second photographer. I do not work with an assistant. 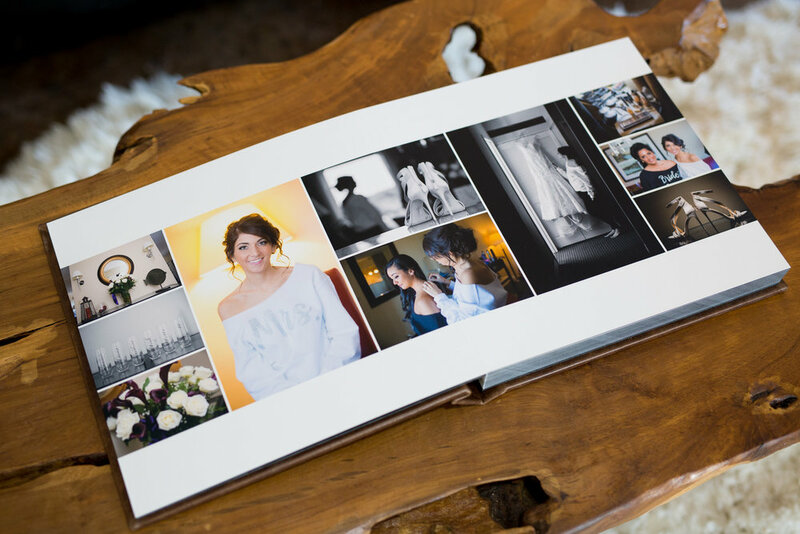 Based upon the flow of your wedding day I will offer my professional opinion on whether or not a second photographer is vital, nice to have, or not needed. If a second photographer is not included in the package you select you can always add one on later. How long after the wedding do we get our photos? I guarantee that you will have your photos no later than 60 days from your wedding date. With that said my turnaround time is typically less than 30 days. This also varies based on the time of year that you are getting married. Do we get ALL the photos you take at our wedding? The short answer is, no. During a wedding we take TONS of pictures. Many are deleted as we shoot. You will notice that we take multiple exposures of the same group and pose. The reason for this is that people blink, make faces, sneeze, etc. We eliminate those photos as well as photos where we are making adjustments or taking test frames to adjust lighting etc. I can assure you that we deliver the very best images from every wedding and promise that those images will accurately tell the story of your day. Do you edit all the photos you deliver? Yes! Every image you see will be color corrected to ensure consistency throughout the your entire collection. This will also ensure accurate and consistent color in your album and prints. Do we give out RAW files? Our studio does not deliver raw files to clients. Sometimes a client will ask us this because they read somewhere that they should, and others ask because they think the raw file is a better quality file. The reality is that a raw file is not a finished or usable product. It needs to be edited and converted to a usable file format. If you tried to get a print made from a raw file, you'd be told it can't be done. Any photo labs (professional or otherwise) will want a jpeg file to produce prints from, not a raw file. Will you follow a shot list? Or do you prefer free reign? I am very open to your ideas. During our consult I will find out what is most important to you and make note of that. I hope that if you do decide to hire me that you trust in my professional judgement and experience to capture all the essential details of your wedding. Working from an actual shot list like you see on The Knot etc. may be a good idea for photographers just starting out. But, to work from such a list in my opinion, also inhibits creativity as well as my ability to be completely present at all times. If you have put thought into something at your wedding, I will capture it! Together we will develop a list of important family groupings. This is very important to ensure we get through these groups quickly. I suggest making these guests aware that they are needed for photos before the wedding to avoid them disappearing when they are needed! What are your albums and prints like? Wicked awesome! We use professional print labs for all of our products. 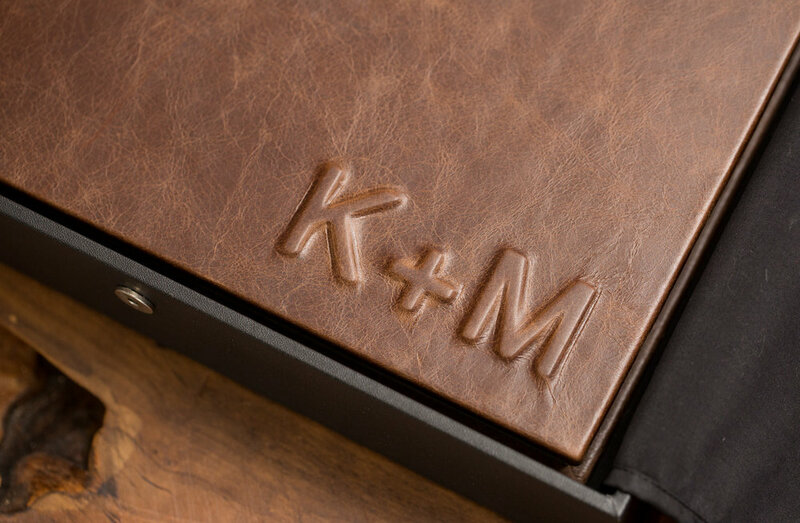 Our prints are created with acid-free, archival quality papers. 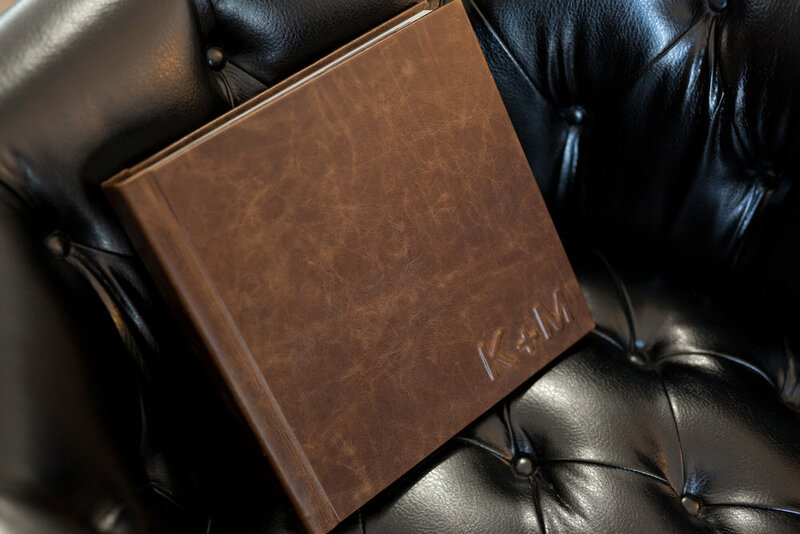 Our albums meet the same specifications of course. 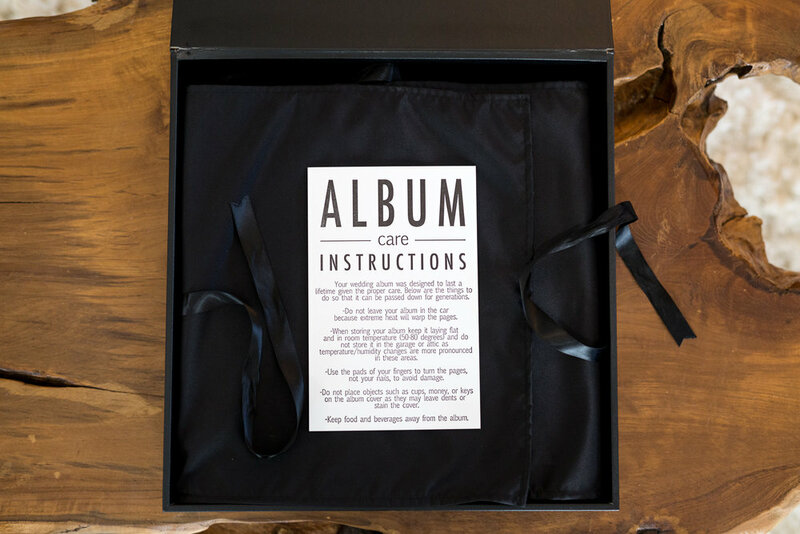 Our albums are created from the highest quality materials and are delivered in premium packaging. They really need to be seen in person. We are confident that you will fall in love with them! Do we have to order prints from you? No. All of my packages include digital file delivery. The images are yours to redistribute and share however you like with friends and family. You are free to take those files and order prints from wherever you like, although we are not responsible for color accuracy of prints when ordered somewhere else. If prints are ordered through us we ensure optimal quality and color reproduction for everything that we deliver. Absolutely! As wedding days are extremely unpredictable I must be prepared for every scenario! There are no do overs. I am very skilled with modern lighting techniques, and in fact it is a core element of my overall style. I typically dress in all black. Dress pants and a black dress shirt. If it is very hot I may go with gray! In short, I'm at a wedding and I dress the part!. I shoot with Canon DSLR's. I currently use a Canon 5D Mark IV and Canon 5D Mark III. I own many different lenses including primes (lenses that can make those cool blurry backgrounds) Zooms (very versatile on the fly and to get those tight shots without being in your face) and Macros (You know those cool ring shots you see, you need a macro for that). I also have a bunch of wireless lighting equipment and modifiers that allow me to achieve my signature look in dimly lit venues. Do you have a question that was not answered? Please email it to me! I would be happy to answer it, and happy to add it to this list. Want more information? Fill out the form below.